(HOBOKEN, NEW JERSEY) Christophe Pierre, Provost and Vice President for Academic Affairs at Stevens Institute of Technology announced that Jean Zu, Ph.D., P.Eng., an accomplished scholar of mechanical vibrations and dynamics, and mechatronics, has been named the new dean of the Charles V. Schaefer, Jr. School of Engineering & Science (SES) at the university following an international search. Zu, currently chair of the Department of Mechanical and Industrial Engineering at the University of Toronto, will begin her appointment at Stevens on May 1, 2017. Zu’s research interests reside in mechanical vibrations, dynamic analysis, design and mechatronics of various mechanical systems. She has successfully collaborated with many different companies on research projects with a focus on automotive applications. Zu recently extended her research to biomedical instruments and vibration-based energy harvesting. She published over 300 refereed papers, including 160 journal papers, and attracted numerous grants and contracts from government and industry to support her research. Zu graduated with B.S. and M.S. degrees from Tsinghua University in China. After two years of working as a lecturer and researcher at Tsinghua University, she traveled to Canada and obtained her Ph.D. from the University of Manitoba. Zu joined the University of Toronto’s Department of Mechanical and Industrial Engineering in 1994, and was soon promoted to associate professor in 1999, and to full professor in 2004. Zu has served as Chair, Department of Mechanical and Industrial Engineering since July 2009. Zu’s contributions to her profession outside of the university are extensive. She served as the president of the Engineering Institute of Canada (EIC) from 2012 to 2014, and is a fellow of the Canadian Academy of Engineering (CAE), the American Association for the Advancement of Science (AAAS), the American Society of Mechanical Engineers (ASME), and the Canadian Society of Mechanical Engineering (CSME). She served as president of the CSME from 2006 to 2008, on the Grant Selection Committee of the Natural Sciences and Engineering Research Council of Canada (NSERC) from 2004 to 2007, and served as the associate editor of the ASME Journal of Vibrations and Acoustics from 2007 to 2013. She has worked extensively to raise both awareness and funding for engineering programs at the University of Toronto and across Canada. As dean of SES, Zu will oversee a school with more than 170 faculty members. The school has been operating under the leadership of interim dean, Keith Sheppard. Stevens was the first school of mechanical engineering in the nation, and today SES provides a multi-disciplinary, design-based education rooted in technology and the applied sciences. The school’s eight departments serve both undergraduate and graduate students and offer more than 50 academic programs and majors. 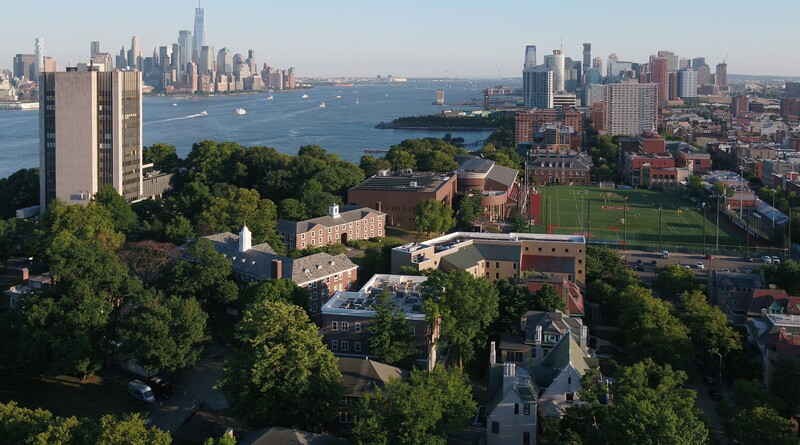 Stevens Institute of Technology, The Innovation University®, is a premier, private research university situated in Hoboken, N.J. overlooking the Manhattan skyline. Founded in 1870, technological innovation has been the hallmark and legacy of Stevens’ education and research programs for 147 years. Within the university’s three schools and one college, 6,600 undergraduate and graduate students collaborate with more than 300 full-time faculty members in an interdisciplinary, student-centric, entrepreneurial environment to advance the frontiers of science and leverage technology to confront global challenges. Stevens is home to three national research centers of excellence, as well as joint research programs focused on critical industries such as healthcare, energy, finance, defense, maritime security, STEM education and coastal sustainability. The university is consistently ranked among the nation’s elite for return on investment for students, career services programs and mid-career salaries of alumni. Stevens is in the midst of a 10-year strategic plan, The Future. Ours to Create., designed to further extend the Stevens legacy to create a forward-looking and far-reaching institution with global impact.